5 months ago in March, I got a pair of Vibrams® TrekSport to experience for myself the Five Fingers footwear experience. I gave an initial impression on the product (click here for Dr. Fung’s original Five Fingers Experience) and have since been using it for a wide variety of activities. 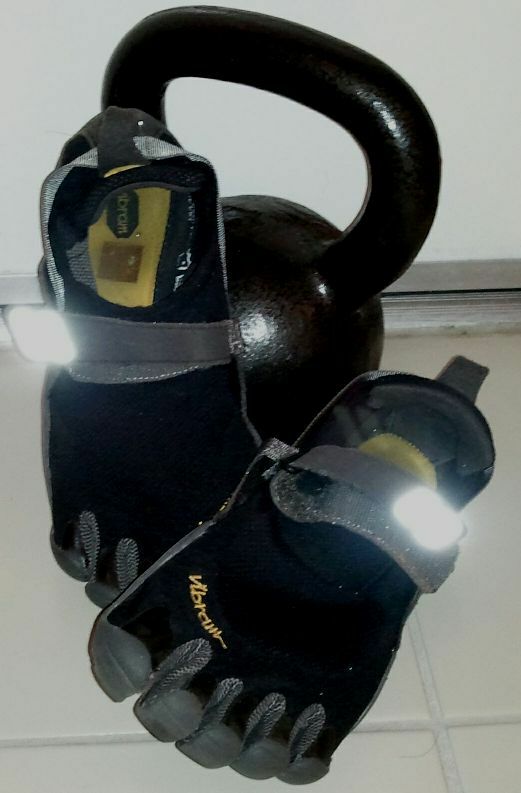 In the last 5 months, I’ve used my Vibrams® for running (jogging and sprinting), regular walking, days at amusement parks and fairs, in the sand, to the grocery store, for kettlebell training, boot camp style exercise, suspension training, and in the gym. I’m happy to say I am VERY pleased with the long term aspect of the five fingers experience. To break it down a bit, let’s categorize by functionality: basic ambulation, running, and cross training. Now 5 months into wearing these toe-shoes whenever I can, I found that I'm still heel striking when ambulating – and, why not? There really isn't that much impact when ambulating and so I didn't find myself wanting to avoid the heel strike. I did experiment with forefoot striking during basic ambulation and didn't feel the need until I came to walk on rocky/jagged surfaces, uneven surfaces, or unstable surfaces (like sand). This was interesting to me because I also practice Physical Therapy in the Acute Care setting where I see a lot of trauma from falls. Thinking back on my own experiences, I asked myself, "When do you most often fall? When you land on your heel or when you land on your toes?" Answer: For me, I fall when I land on my heel. It makes perfect sense; there is far less surface area on the heel than there is on the forefoot for traction - not to mention once the heel lands, the only balance strategy available (since the knee is extended and engaged) is from the hips and above. However, in the moment of slipping and falling, the hip strategy betrays us because most of the time the slip causes the foot to slide anteriorly and the body relatively moves posteriorly as a result. However, if one was to slip on a forefoot strike, one can place the entire foot flat on the ground to create more traction from increased surface area as the foot slides which causes minimal displacement of the body's center of gravity over its base of support. Fall prevented. I must say that I am by no means an avid runner. In fact, I’m probably the farthest thing from an avid runner as it gets. I’m a natural and agile sprinter when it comes to locomotion, and, that’s about it. Nevertheless, the first thing I noticed as I took more short runs (3 miles or less) is that I became less and less tempted to heel strike. I also noticed a very natural sinusoidal oscillation in my vertical height as I ran. What I found most interesting was how aware of the ground I was. Very likely, this is a self protective mechanism since landing on even a small pebble would still be uncomfortable in these footy shoes. I must note I was impressed in that I typically get a very annoying knee pain when I run for distances greater than that of quarter mile sprints. I never once experienced knee pain when running with my Vibrams. I also am very flat-footed and typically get all sorts of lovely foot pain with regular running shoes – no such pain ailed me. I've heard it said that forefoot running may take on more stress in the Achilles tendon – I experienced no such event. If anything, from a biomechanical perspective, the connective tissue of the gastrocsoleus complex are perfect for taking on stress compared to that of the anterior tibials. Also, with every forefoot strike, one must eccentrically control dorsiflexion with the plantarflexors; a type of muscle movement which is a commonly prescribed as therapeutic exercise in treating and preventing Achilles tendonitis. Two words: L O V E D I T ! Most of my physical training & conditioning is done with kettlebells, suspension devices (review coming soon! ), body weight exercises, power yoga, sprints, and beach training. For all those activities, working out in footwear which is ultra close to the ground was an absolute pleasure. However, even when I hit the gym for select exercises for old fashion weight training, I found that using the footy shoes felt much more comfortable than traditional footwear. The only downside of cross training with thin footy shoes is foot protection. At one time, I stubbed my right great toe on a lovely rock the size of a softball. Not cool. Thoughts down the same line came to me in the weight room - what if something dropped on my foot? Nevertheless, my cross training experiences with Five Fingers were overwhelmingly positive. When I had the pleasure of wearing my footy shoes several days in a row, I noticed how annoyingly unnatural my athletic shoes felt. If it wasn't for the lack of foot protection on the lateral and dorsal sides of the footwear itself, I feel that the Vibrams® TrekSport would be a perfect form of footwear. During ambulation, running, and cross training, I felt that wearing footy shoes was far more comfortable and natural during function. Also, much of the foot and knee pain I used to experience with standard athletic shoes with running completely disappeared with the use of my Vibrams. I do want to note that the only time I felt any discomfort with my Vibrams were long days on my feet (>12hrs), however, who wouldn't have slightly sore feet after 12 hours of walking? I highly recommend the Five Fingers experience. Whether you are in pain or pain free, physically impaired or at high levels of performance - I believe that the natural foot mechanics are an advantageous experience for just about anyone. Although the footy shoes may not be within everyone’s sense of fashion, it’s worth the try. Who knows, you might just like it! Great review Ben! I just started running in Nike Frees, and have been practicing midfoot striking. The most natural way to land from a physics standpoint. Did you catch the Irene Davis vids I linked from my blog last week? You would love the physics breakdown of heel, forefoot and midfoot striking! I did!!! Wonderful video! The physics had me drooling with interest :) <== Nerd.